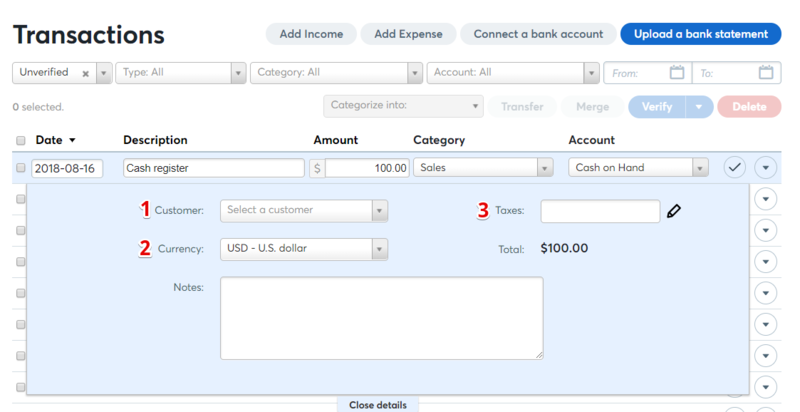 Click Accounting in the menu on the left side of your screen and select Transactions. Click Show details to enter in more details if you wish. This step is not necessary. Customer: Click the arrow next to the field and start typing in a customer name or select from the drop-down menu. Currency: Click the arrow next to the field and start typing in a currency or select from the drop-down menu. Taxes: Type in a tax name or click the pen icon next to the field to select Tax override. 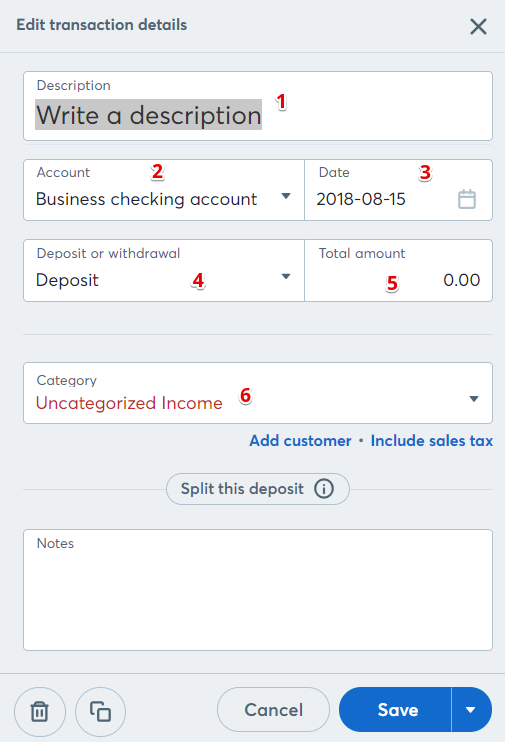 Click Close details and the income entry will appear completed in your list. Click the Add Income button at the top of the page. Add a tax if applicable.